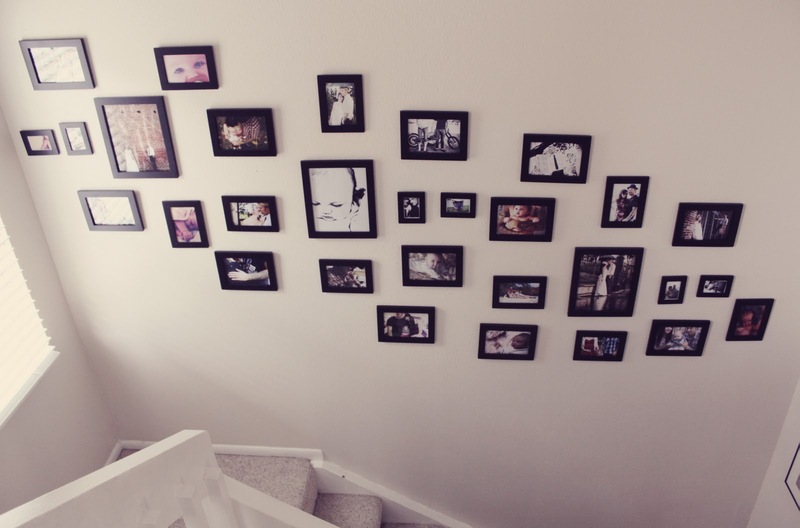 When D and I first got married and were living in our first apartment together I was so excited to decorate. I eagerly hung every painting, shelf and photo as if I'd waited centuries to do it. 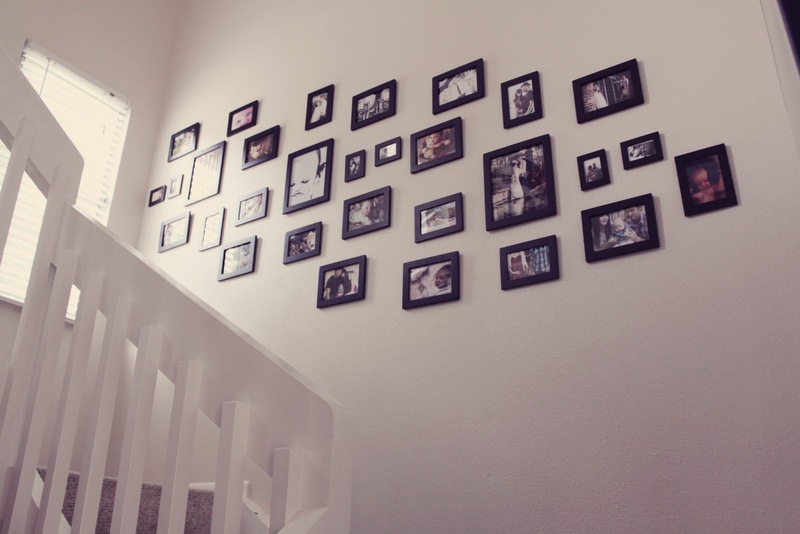 I remember putting framed wedding photos up and thinking how great it would be to have a staircase one day where I could fit tons of photos on the way up.. and maybe it would even be far enough into the future that I'd have another little family member to proudly show off too. Well it feels really good that I'm there. We're not finished yet, and I plan to paint a few random frames different bright colors and maybe throw in some of our name letters, etc. But in the meantime it brings a pretty big smile to my face as is. 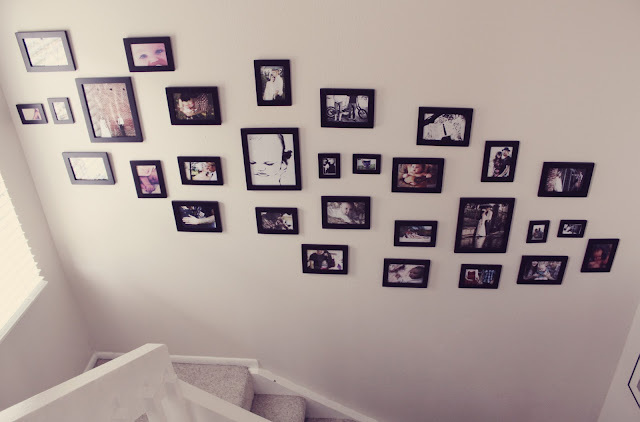 I can't wait to do this when my fiance and I have our own house too. Yours looks so lovely! This is an awesome wall! 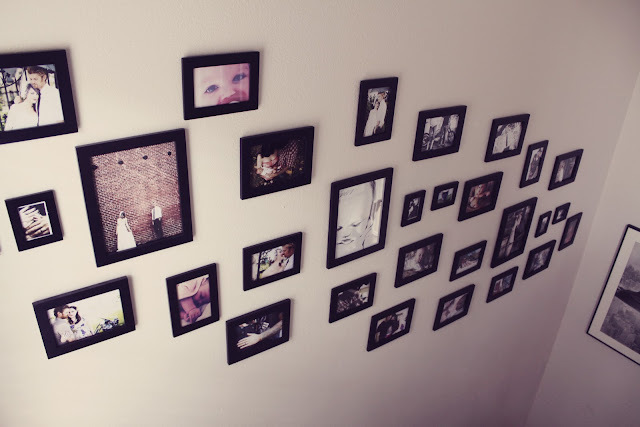 I love how you laid them all out and the black frames against the while/cream wall! I think a few bright frames would look snazzy! This looks stunning! Great job! I have something similar in my apartment right now and it makes me so happy! That is beautifully designed. I think bright colours would be amazing, and the monograms too!! Wow... That's really well done! Looks wonderful as it is now... Did it take ages to plan out? I can't wait to do this too! You really pulled that off great! Sometimes it just looks so cluttered and not very good but yours looks so awesome! Good work! Love all the different size photos! It looks really good. 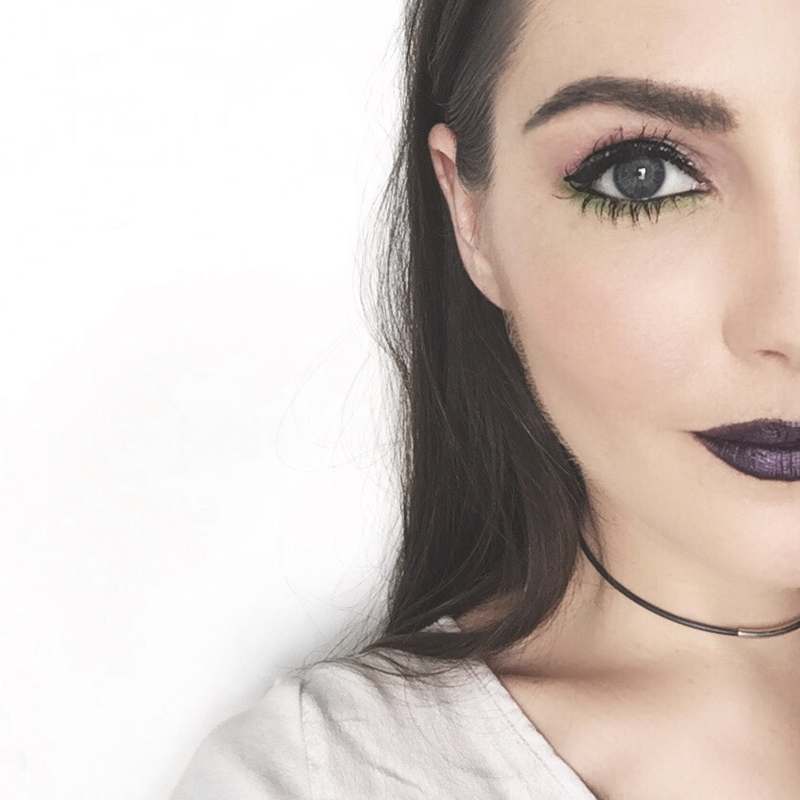 Just discovered your blog today and I love it! Your little girl is adorable!! I'm sure people tell her that all the time, but she is! And I love that you post both what you wore, AND what Rowan wore! That is so cute! love this! it looks great. that looks great! how fun!